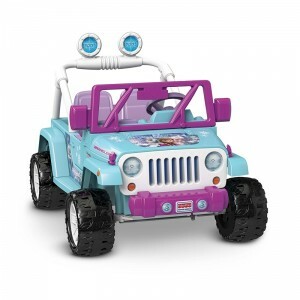 - The product is designed to realistically reflect the Jeep Wrangler so that the kids get an experience that closely mirrors the real thing during their play time. - It comes with magical graphics and frozen vibrant colors that are attractive to children. - The jeep plays music from the movie through its pretend radio offering the child other entertainment. The pretend radio requires 3 AA batteries for operation. -It comes with a maximum forward speed of 5mph and a maximum reverse speed of 2.5 mph. -It is fitted with a high-speed lockout that is parent controlled for the beginner's general safety. -It has a brake system that can be activated through a power-lock for swift response in case of a pending accident or crash when the child is operating it. -It comes with two functional doors that can open in and out for the child to enter or exit the jeep when they need to use the vehicle or when they are done with it. 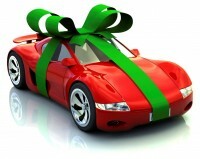 -It is a battery-powered car with a 12 v battery that is rechargeable through a charger that is part of the package. -It is manufactured with a manageable weight of 61.8 pounds and dimensions of 53.6 x 25.3 x 11.7 inches. A good electric car should be able to offer the child playtime that ties into their imagination. This is imperative if they are going to develop some creativity that is critical for their intellect. The Disney Frozen Jeep offers this in a great deal through its realistic design that imitates the Jeep Wrangler, the bright, attractive colors and the pretend radio that enables kids to imagine they are in the movies. To parents, a principal concern is the safety of their children and so electric cars that come with safety features are an added advantage. The Disney Frozen Jeep comes with a speed lock that is operated by the parents especially when the kids are just getting to know how to run the car and are susceptible to severe crashes. In addition to this, the electric car has a brake system that can be activated by a power lock. The fact that the jeep can be stopped at the touch of a button means that they can avert an impending crash at the touch of a button for their safety. The Power Wheels Disney Frozen Jeep is a power operated vehicle which comes with a rechargeable 12 V battery. The fact that it does not use a disposable battery means that you as a parent are saved a lot of costs that you would incur when it comes to replacing the batteries all the time given your kids might make this battery powered car their primary source of fun hence depleting it’s charge faster. The battery comes with its approved charger to be used as part of the package. The Jeep is also designed with a lot of space for two in its driving unit which is very beneficial. First, this means the kid can be as comfortable as possible while driving in the car which will ensure their play time is enjoyable. The space for two also means that if you have two kids of the same age they can be comfortably accommodated in the car together during play time saving you the cost of purchasing two of such electric cars. It also offers them the opportunity for more fun as they can have their friends join them for some play time. This space will also come in handy in emergency situations where the kid has crashed and needs to be pulled out of the jeep. Since this kids ride on toy comes with two doors, it makes the work of the child easier when it comes to getting in and out of the Jeep. To you as a parent, this means your child will not bother you from time to time to get them in or out of the car when they need to play in it or when they are tired of playing in it. It makes no sense that the jeep has a battery providing its power source, but when it comes to powering the pretend radio a different pack of AA batteries need to be purchased. In the long run, this has the disadvantage of being costly to the parent as they will need to buy the 3 AA batteries regularly. From our analysis, this is a kid’s ride on toy that is worth purchasing for your child. It will help them think creatively during their play time so that their intellectual capabilities are expanded. During their playtime, you can be assured that the child is going to be safe as they have fun. As a parent, one of your least of worries will be the additional significant costs that might come with having to purchase new batteries for this kids ride on toy as it comes with a battery that is rechargeable. The battery powered car also offers the kids a lot of comfort while playing due to the sufficient space provided for them in the front seats. However, the product comes with a pretend radio that will require you to purchase additional 3 AA batteries for it which can be costly in the long term. Despite this single concern, the electric ride on car offers much more benefit and so we believe it’s a worthwhile investment for your child to play with.